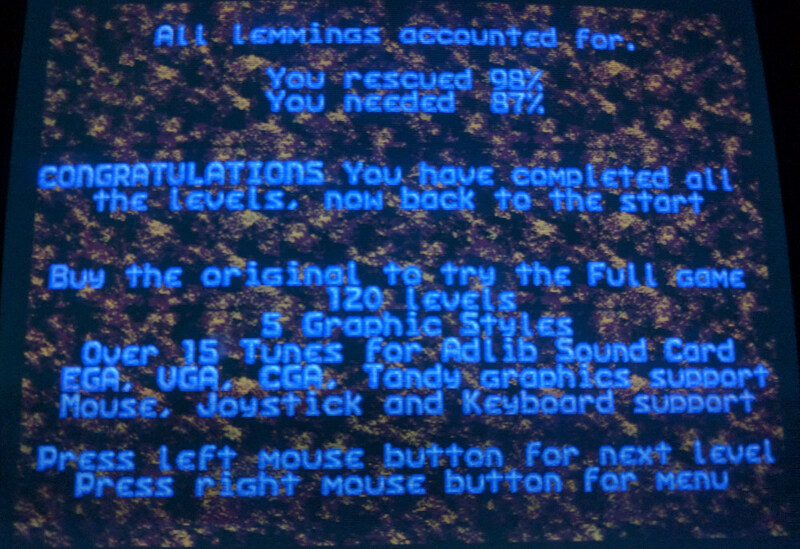 After beating Contraption Zack in an afternoon, I was still in the mood for another puzzle game and decided to revisit Lemmings for the first time since its original release in 1991. I just about remember buying a shared copy at the time for which I kept the 3 1/2 inch disks. The box and 5 1/4 floppies went to the other guy who paid the lions share of the asking price. Not sure if that counts as piracy or not but it was an obvious downside for publishers of games published on dual format back at the time when the only copy protection was on the disks themselves. Back in 1991, I beat the game in 5 or 6 days presumably doing little else for that week. I can’t invest that sort of time these days hence the long gap between posts. I’ve bought a full copy at some point since the 90’s so there is no question of piracy this time around. 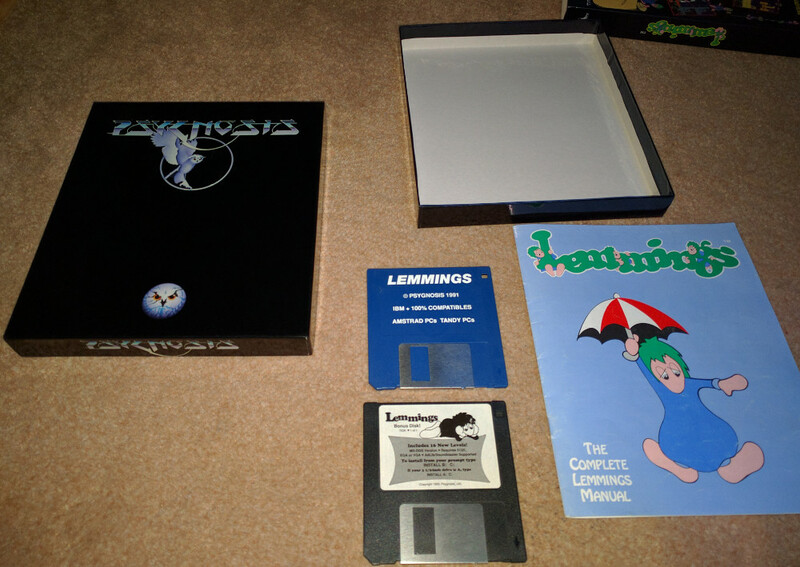 The box is certainly nice and colourful as you would expect from Psygnosis. This particular copy is a slightly later release than the one I first bought coming with an extra bonus disk of levels that was also included with the official guide book (more on than in the next post). 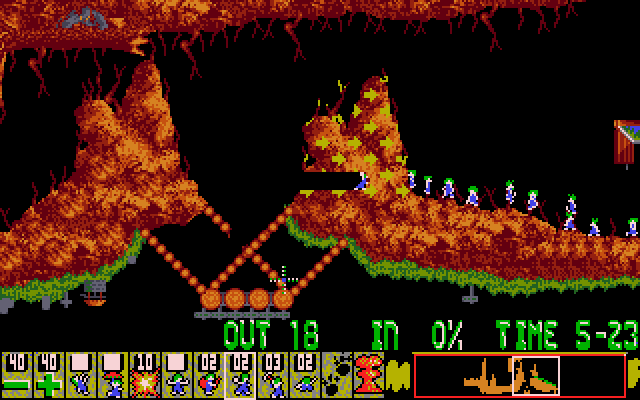 Lemmings is actually available for free these days in the Microsoft store in an updated version. I briefly tried this and it appeared to be fundamentally broken as I was unable to change the status of any Lemmings that I’d already given a task to. As such I certainly can’t recommend it but I presume it must work better on tablets or some other PC setup. 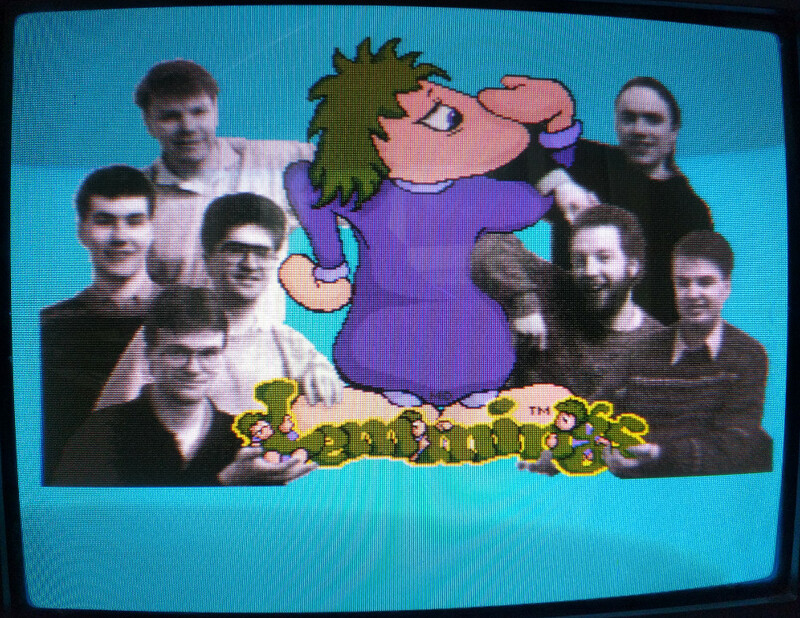 Lemmings was originally created by DMA design who would go on to become Rockstar and create the Grand Theft Auto series. 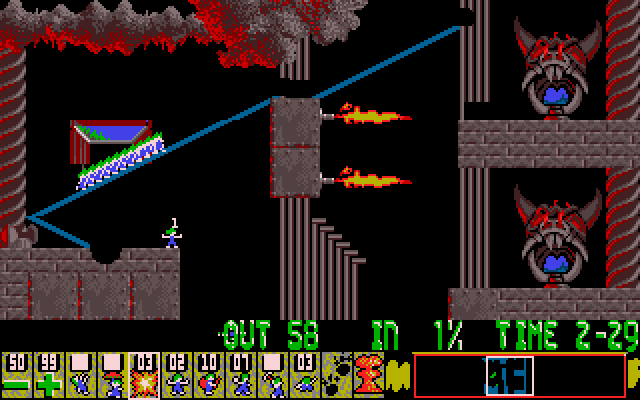 The idea for Lemmings famously came whilst working on the game Walker which was an Amiga side scroller in which you would drive a giant Mech around blowing things up. The mech in question was supposed to be huge and in order to give it this sense of scale tiny people sprites were needed. It was questioned whether this would be possible in 8×8 pixels but programmer/artist Mike Dailly managed it in short order even managing to give some character to his miniscule sprites. This concept later morphed into a game in its own right, spawning one of the most ported and successful franchises in gaming. 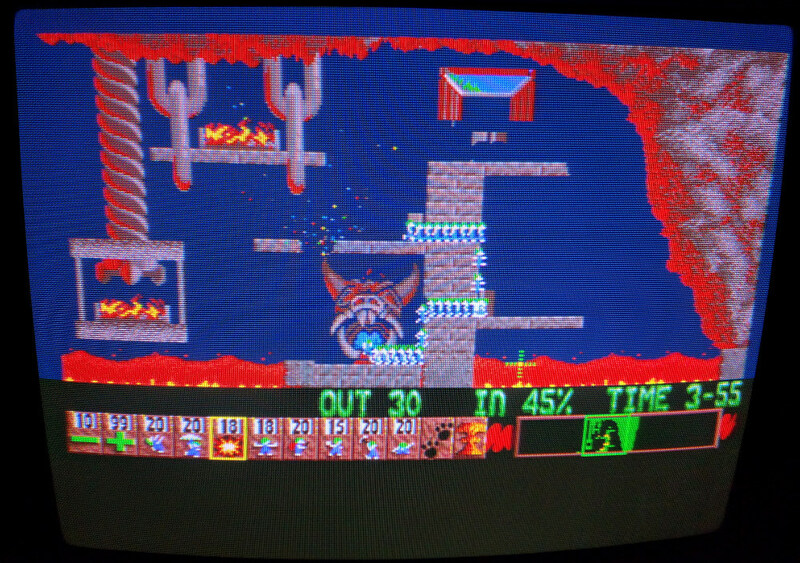 Rather than sticking to one version of Lemmings, I’ve been swapping around between systems as I’ve played this. Instead of saving progress, a series of level codes are used meaning that it’s possible to swap around at will picking up where you left off. I must confess I’d prefer being able to save and not having to type lengthy codes in each time I returned to the game but it does have it’s advantages. 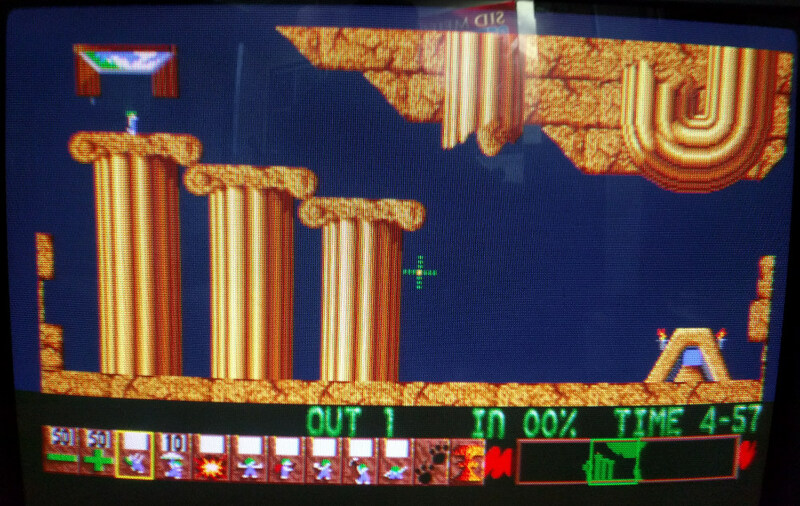 I started out with the original platform of the Amiga. 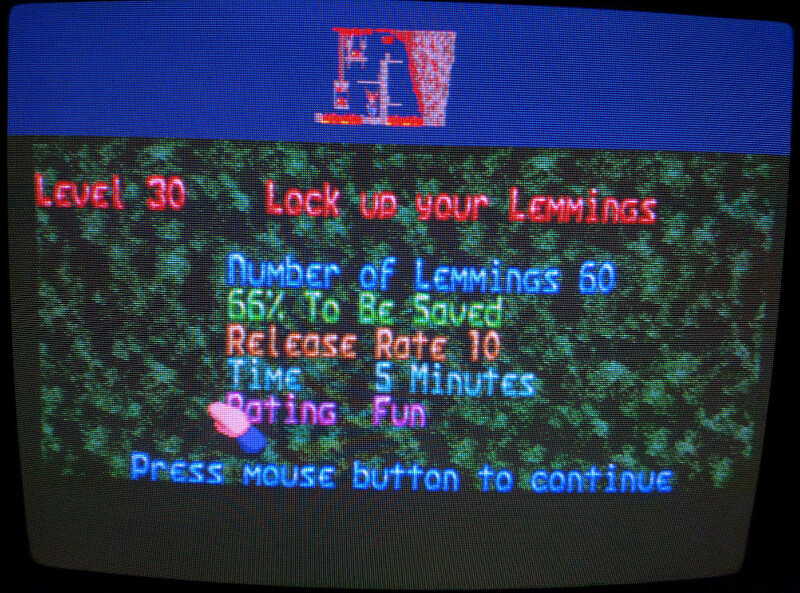 The Amiga version has a nice little intro with Lemmings climbing around on the games title. 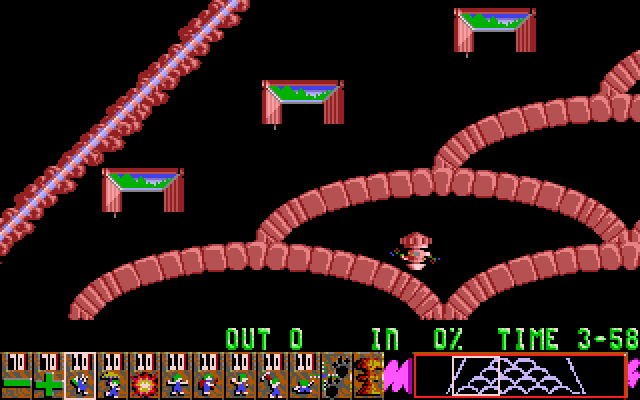 This is entirely missing on the DOS version as is the two player mode which would utilise the Amiga’s ability to use two mice at once. There are 4 difficulty levels in the game each of which has 30 levels. 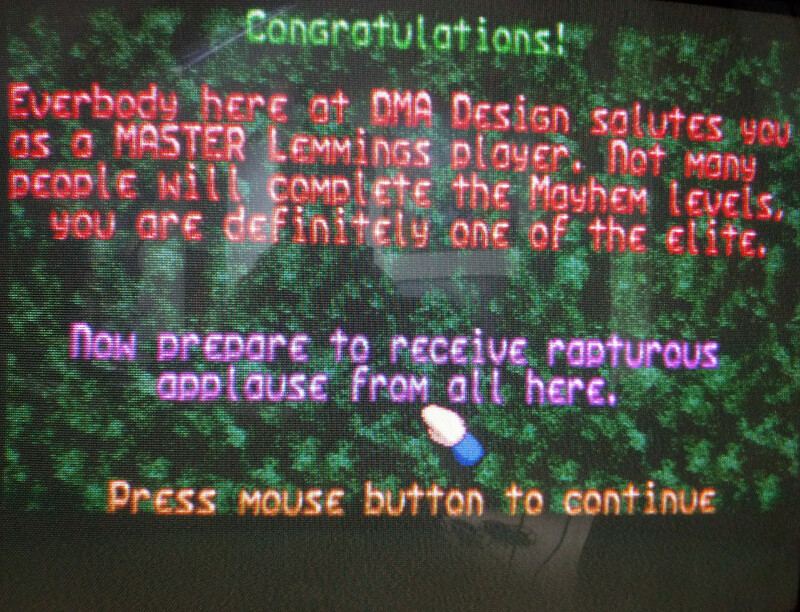 To beat Lemmings, you technically only need to beat the 30 “mayhem” levels but I decided to work my way through the lot starting at fun. These early levels gradually introduce each type of Lemming of which there are 8. 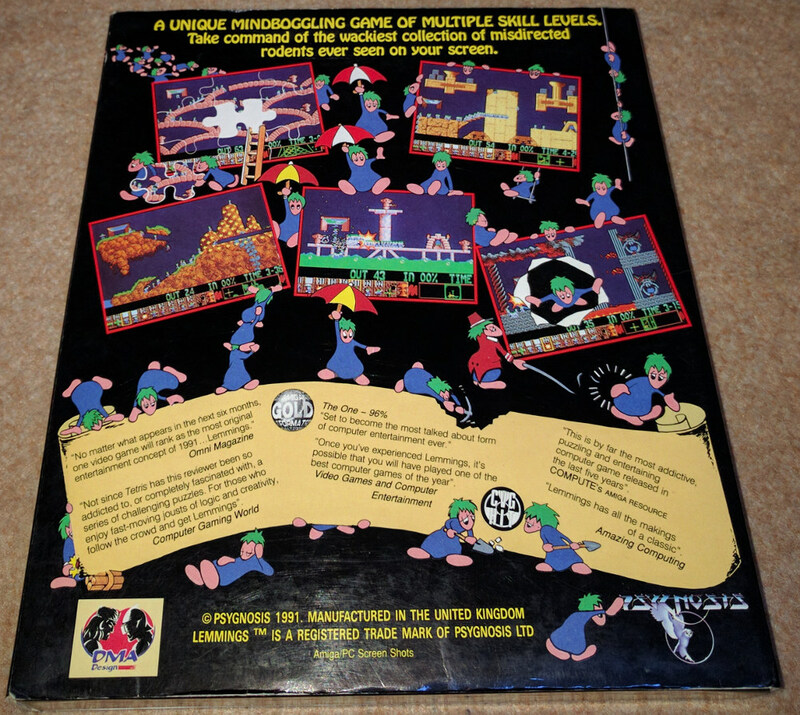 I’m sure everyone is familiar with Lemmings gameplay by now but just in case the concept is that all your Lemmings will fall out of a trapdoor and start mindlessly walking forwards. 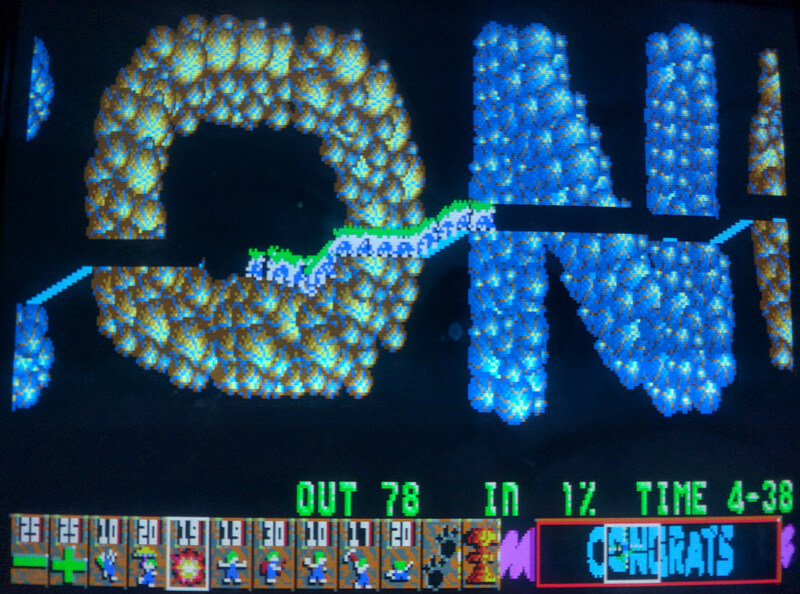 The goal is to get a target number of them safely into the exit inside the time limit and to do this you can individually transform any given lemming into either a climber, floater, bomber, blocker, builder, basher, miner or digger. You only have set amounts of each skill although these early levels are usually very generous on this front. That’s the entire game in a nutshell. It’s an extremely simple concept and alters little throughout all 120 levels. There are techniques to be learned and mastered however. For instance a builder lemming will build a short staircase but stop building and turn around if he hits a wall while laying down tiles. You can use this to turn around a lemming by digging a small pit and then turning him into a builder to hit the wall of this pit. Provided the pit is shallow enough he’ll turn around, climb back out, and have changed direction. Figuring this particular technique out when it was first needed halfway through the game was where I was stuck the longest. It’s possible to pause the game and look around the map to plan ahead but there is still a degree of arcade action mixed in with the puzzle solving elements. You are required to be quite quick with the mouse at times and pixel perfect in some later levels. I wouldn’t say it gets too frustrating but there are times where you rely on dumb luck and have to keep replaying levels when things don’t work out. 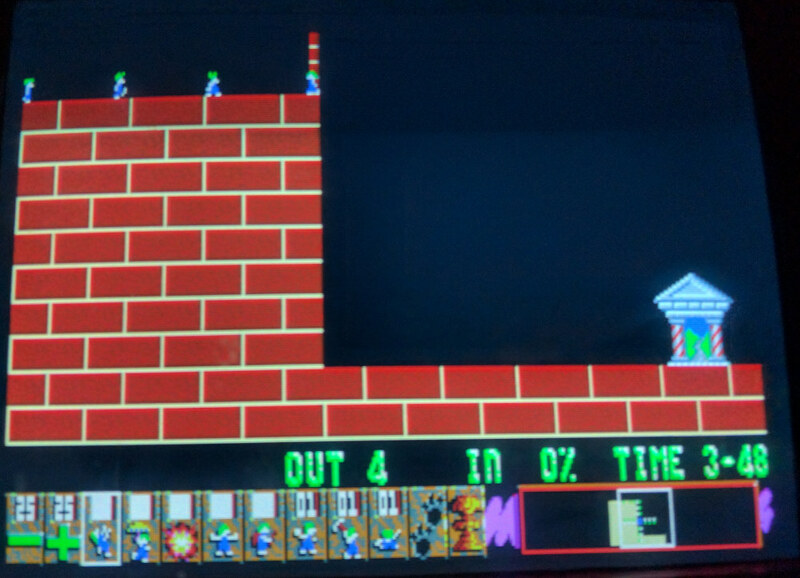 This is mainly when dozens of Lemmings get tightly packed together and selecting one pointing in the right direction to bash through a wall or build a staircase is a 50/50 shot. Often it’s possible to plan around this in advance but not always. Around halfway through those 120 levels, the novelty was starting to wear a little in all honesty. The early levels don’t always provide enough challenge and each level can start to look much like the last. There were some variations such as having multiple entry points or mountains that can only be dug through in one direction. The level on the left was curious having a hidden exit that had to be found by digging all over the map. Once I got into the 3rd tier of difficulty (Taxing), the game started to get my attention again and become a lot more fun. The options here tend to be a lot more limited and it’s about figuring out the solution that’s possible with the supplied lemming types. Most levels involve finding a way to send a solitary lemming or two ahead of the pack to prepare the way but the solution is rarely immediately apparent. 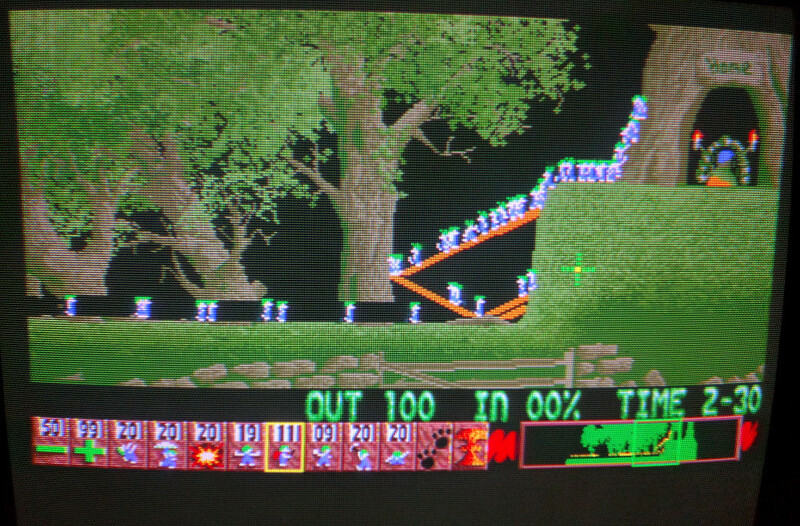 I also enjoyed the occasional level with just one or two Lemmings which needed to be guided around one their own. Hidden among all the regular levels are 4 that are based on other Psygnosis games (Shadow of the Beast 1 + 2, Menace and Awesome). These use the graphic style of each of those games + the music but aren’t the most interesting levels in terms of gameplay. It’s pretty clear the art came first on those four but they did impress me back in ’91. The free advertising was a lost cause for us PC gamers since none of those games ever made it onto our platform. 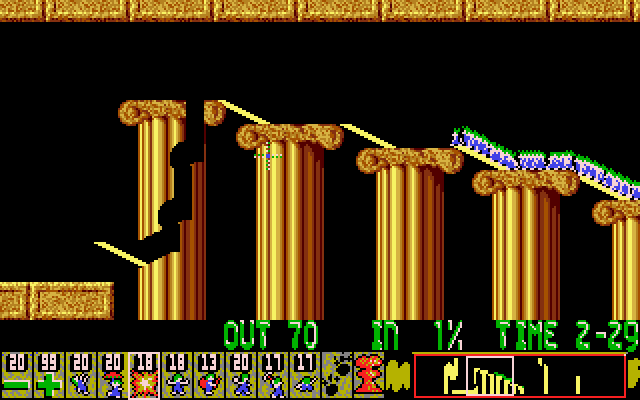 I ended up playing the majority of the game in DOS as it’s more convenient at the moment. Pretty much all of the electric sockets in my house still don’t work since the boxing day floods and moving an extension just to plug the Amiga in is more grief than it’s strictly worth. 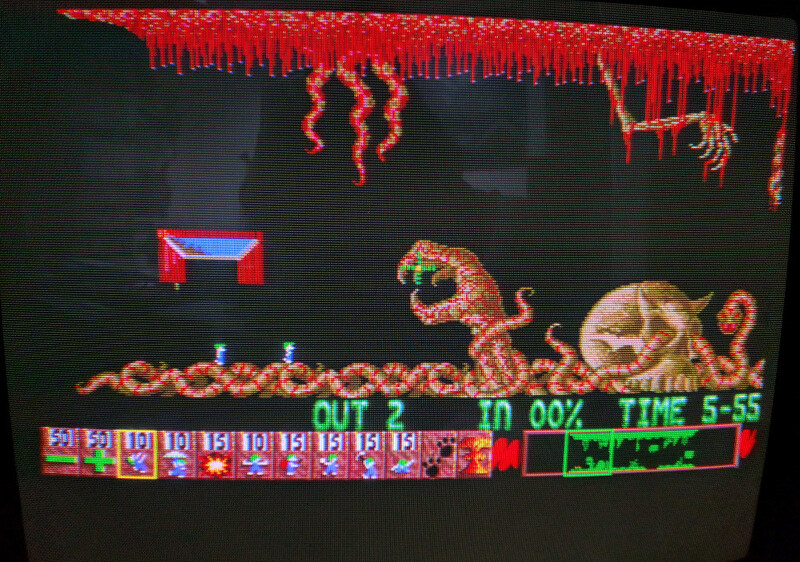 Having said that, the Amiga version is clearly superior in just about every way. The audio is vastly superior to the adlib only PC soundtrack. 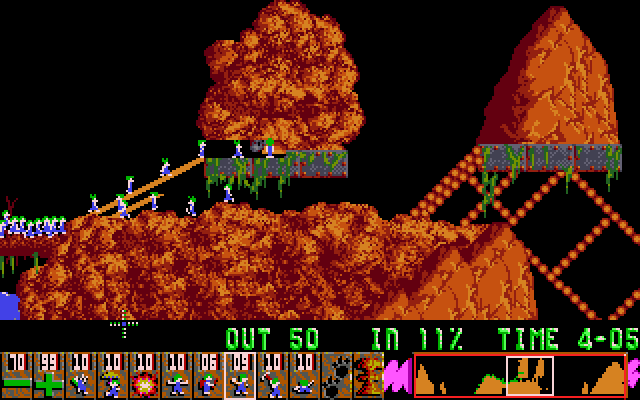 The game is also faster and supports more lemmings. 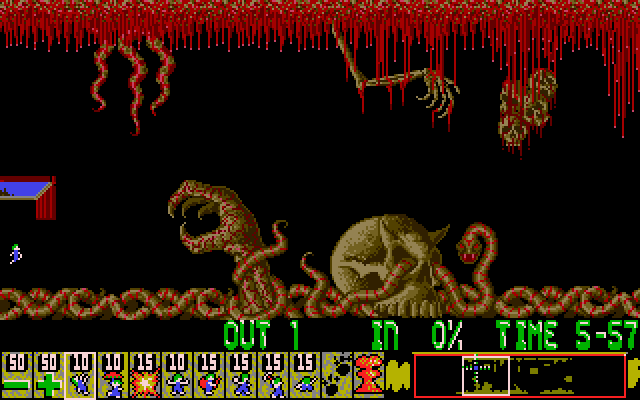 The PC version has a maximum of 80 whereas the Amiga levels tend to have 100 of them running around. Most oddly of all, the gameplay is slightly different. E.g. 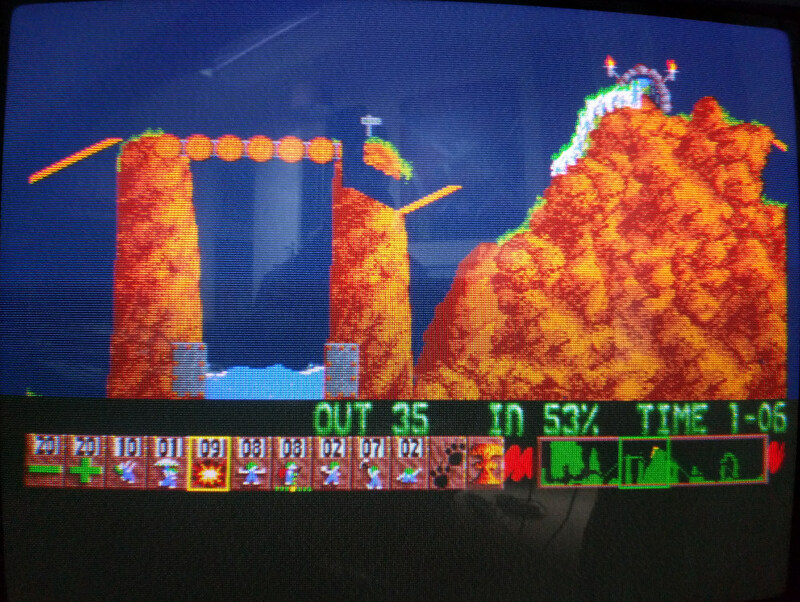 the bashers on the Amiga will decide to stop bashing their way through the scenery at much smaller gaps than on the PC. 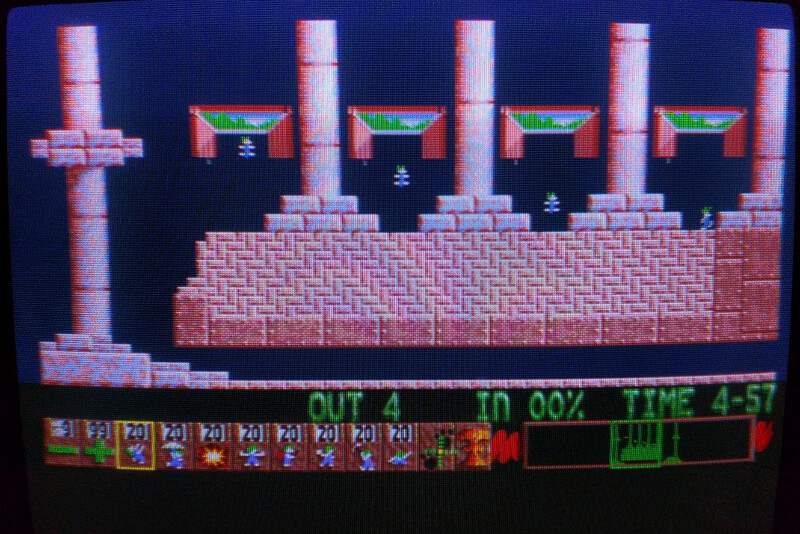 This can make life difficult at times given that all these levels were designed for the Amiga and copied straight across. The one place the DOS version wins out is that the function keys are mapped out to select the options at the bottom of the screen. This proves highly useful and is a lot quicker than having to use left/right arrows to scroll around on the Amiga. 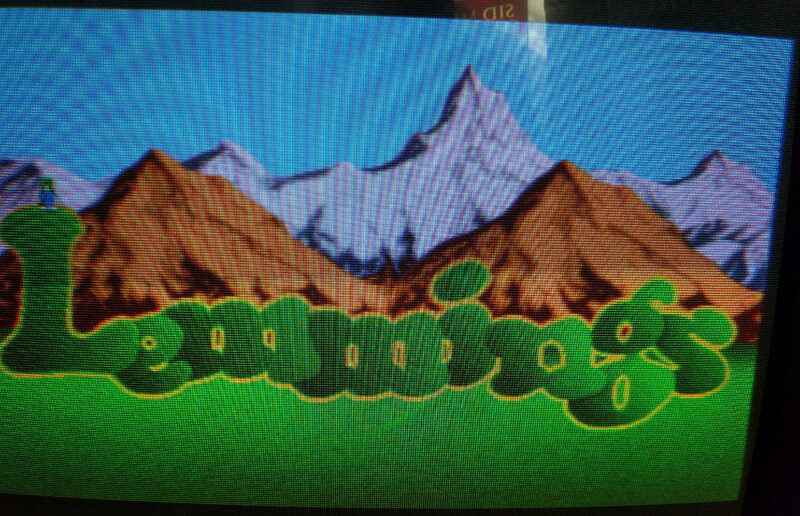 I found that DOSBox didn’t especially like running Lemmings and after an attempt at a level would often throw me back to the title screen which would then immediately lock up unless I went in and out of full screen. As such I swapped over to my Pentium 2 after a while. 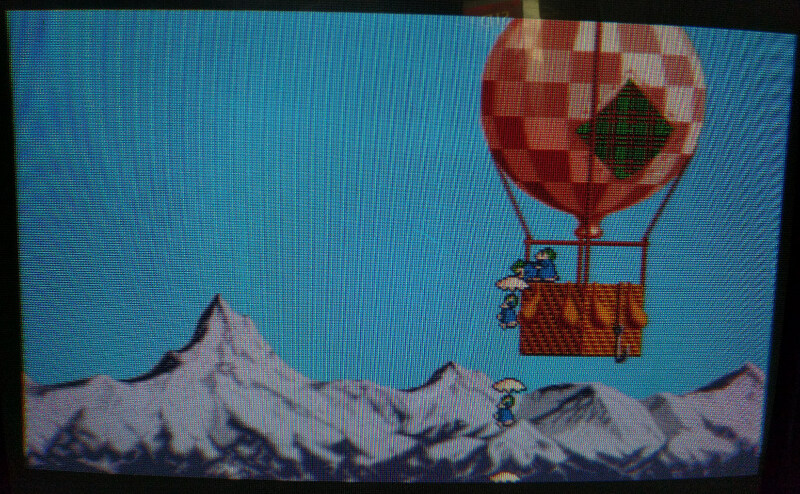 It has to be said the game looks better on a CRT due to the dithered artwork so it’s a better way to play the game but I still prefer the Amiga. It took me about 3 weeks but I eventually made it through all 120 levels. The last few levels were tough in just about every aspect but I’d say the difficulty was exceptionally well judged throughout and I would never call it unfair. What I would call unfair is the reward for all my efforts which was nothing but a paragraph of text. This brings back memory of numerous earlier ZX Spectrum games and I’d expect a bit more in the 16-bit era. 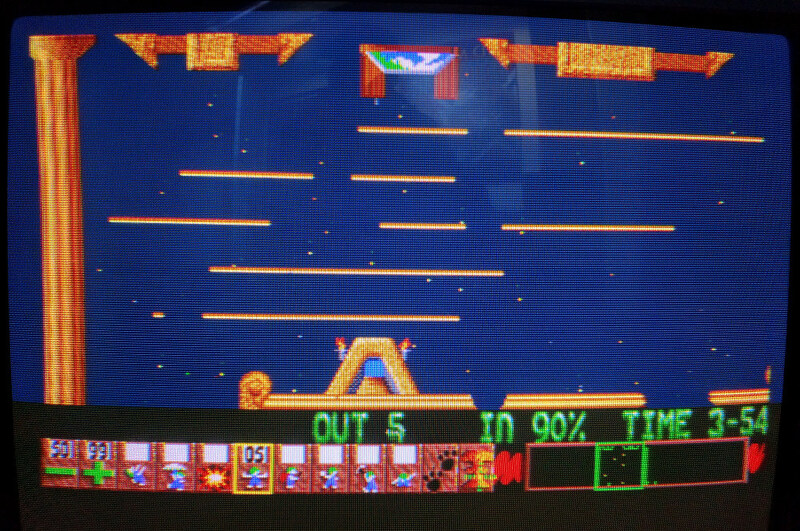 I swapped over to the Amiga and replayed that last level to see if Amiga owners fared any better. 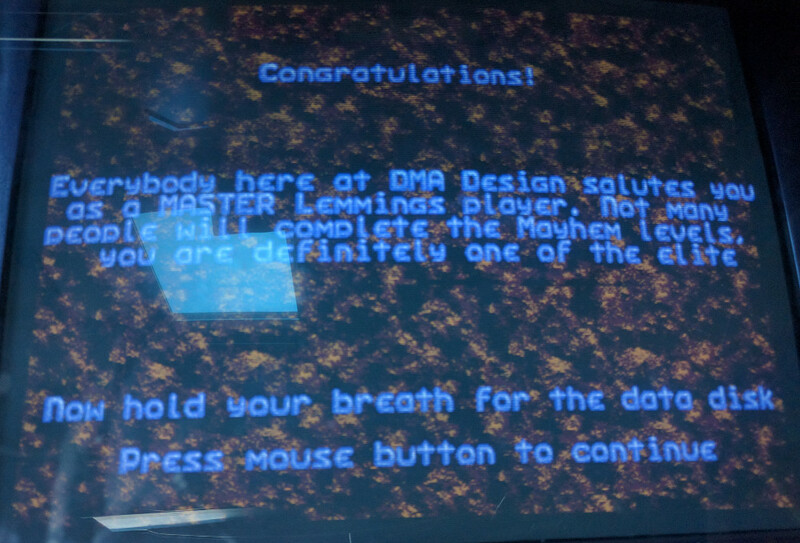 There is a little screenshot with some unconvincingly enthusiastic cheers and applause from the developers. It’s an improvement at least. 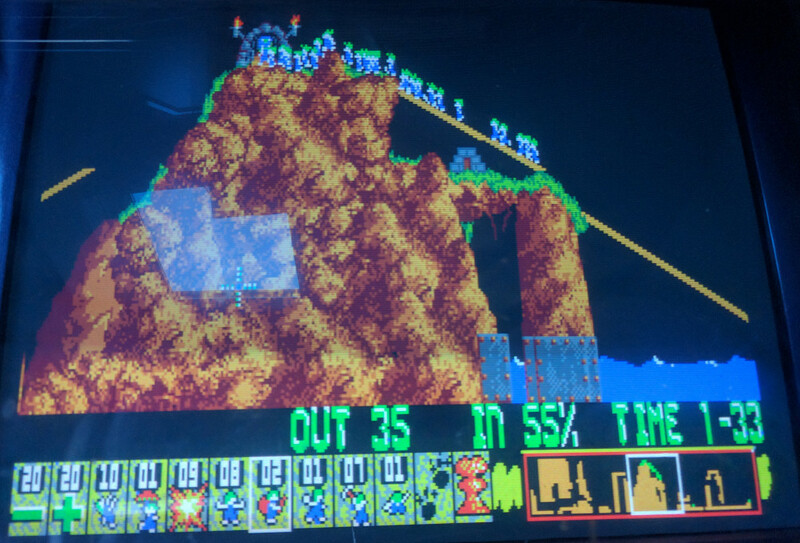 Lemmings certainly holds up better than most games from 1991 and I ended up enjoying it more than I expected after a slightly dull middle section. It wasn’t as difficult as I’d remembered but still holds a mammoth amount of game for a single floppy disk. It could do with some more variety along the way for me. It’s the same skills types, same music and similar graphics near enough the whole way through. While I wouldn’t say it ever got boring, I do like to know there is something new coming to give me incentive to progress. The music is a mixed bag with some of it sounding awful on the adlib. I don’t ever want to hear that out of tune version of “She’ll be coming round the mountain” again if I can help it. 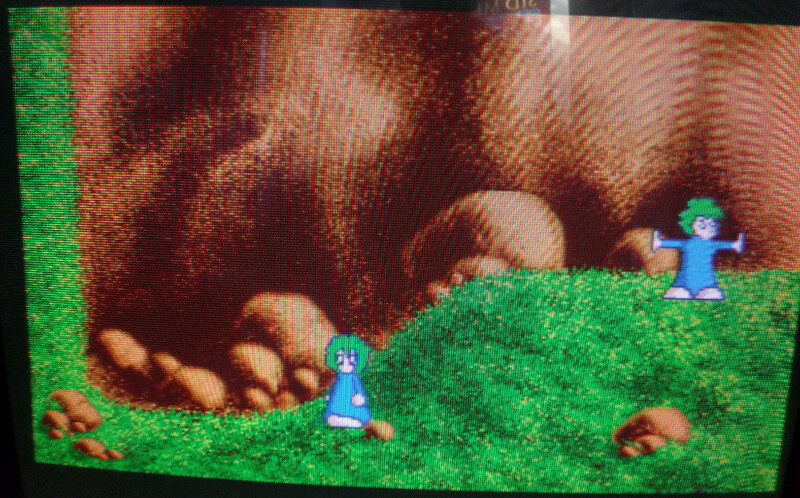 I’d have liked to see SoundBlaster support really with some samples for the lemmings. 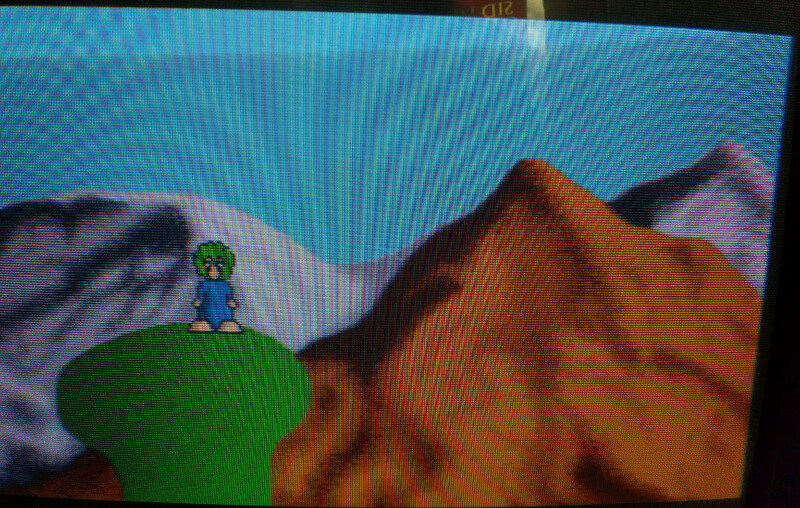 The level design is where Lemmings shines and for the most part this does a great job of gradually increasing the difficulty and offering original challenges. Looking at this 20 years later, there were a few copycat games at the time (e.g. 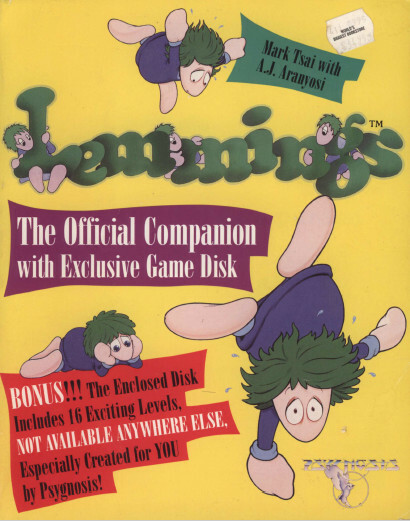 Humans) but Lemmings is almost it’s own sub-genre. 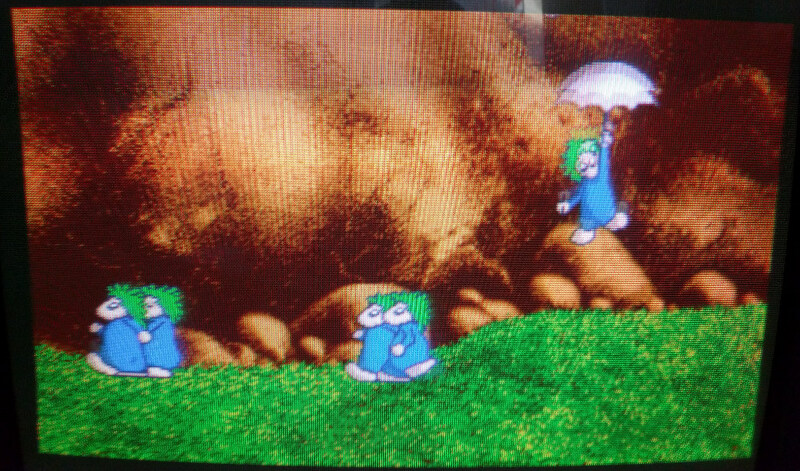 As such it’s certainly a classic but I can’t help but think that Lemmings 2 fixed most of my complaints and is the better game. It’s been so long since I played it, I’d need to give it another go to be sure though. 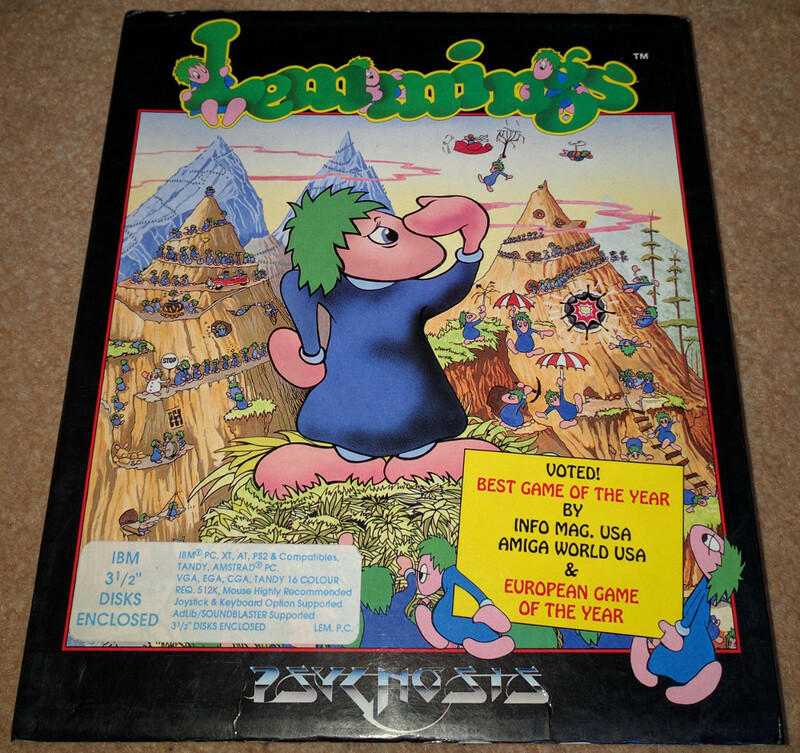 Lemmings’ first incarnation is still worth playing in any of its versions and I’ll definitely be having a go at the first expansion “Oh No! More Lemmings” some time down the line.